Salon 730 is an “Ingredient & Environmentally Conscious Salon”. We use and recommend only the highest quality products. Extend the overall life of your salon color. The Color Retention System’s potent StrandGuard Complex® combines with peptides, powerful UV filters, certified organic extracts and natural antioxidants to preserve salon color and replenish hair’s youthful characteristics. This system has powerful UV protectants and natural antioxidants from White Tea to enhance color protection. Key ingredients of Hibiscus and Vanilla Cactus help to soothe the scalp. Eufora formulations harness the power of more than 100 unique plant and flower extracts, essential oils, vitamins and natural aromas. Add a dash of innovative technology, and Eufora elevates botanical science above the crowd…delivering red carpet ready product performance that rocks your style while still granting good global karma. Today, all Eufora products meet the most rigorous standards in formulation, utilizing Certified Organic Aloe along with nearly 100 different natural plant extracts and essential oils, all of which are classified as renewable resources and considered biodegradable. Eufora never uses mineral oil or artificially created colorants. Our fragrances are complex and naturally derived. Standing apart from typical salon hair care products available today, Eufora products utilize the best beauty secret nature has to offer in our Certified Organic Aloe. Eufora has chosen USDA Certified Organic Aloe Vera as the base for Eufora shampoos, conditioners, hair color and many styling products because of its’ proven moisturizing, healing and soothing benefits. ProAmino Peptide Complex™ (PPC) helps to inhibit 5-alpha reductase, an enzyme responsible for pre-mature hair loss and creates an optimum scalp environment for healthy hair growth Included in all Eufora HERO for Men hair care formulations. 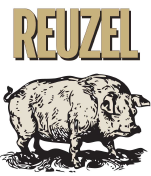 See for yourself why Reuzel, in the short time it’s been around, has developed such a dedicated following. We believe that living a balance of Beauty and Sustainability, what we call “Sustainable Beauty”, can improve our lives and the world around us. To offset the environmental impact, Davines has been using the renewable energy of the sun, wind, water and soil since 2006. Even the packaging is a factor in sustainability, this is why Davines has developed a set of guideline principles that strive to create packaging that is as environmentally friendly as possible. Essential – Each family in the Essential Haircare line contains a specific characteristic and function: nourishment, hydration, volume, shine, protecting, elasticity, smoothness and daily care. All products are enriched with active ingredients sourced from Slow Food Presidia farms in Italy. OI – Formulated with Roucou oil this product gives extraordinary shine and softness, while detangling any kind of hair. For softer, smoother skin you can now complement your daily haircare routine with both an anti-aging hand crème and moisturizing body wash. Our OI line is the invigorating antidote your hair and body needs. Authentic Formulas – One product, a multitude of uses. Skin, face, hair, there’s only one solution that can enhance every inch of your body. Akin to the natural remedies used to treat everything from scrapes to household spills, an Authentic Formula solution is the only beauty product you need. Nutrient dense and full of benefits, a little goes a long way with these treatments. Brings extra shine and instant brightness to hair, enhancing natural or cosmetic color. Deeply conditioning, it moisturizes the hair without weighing it down thanks to the Moringa oil in the formula. For those on the go, this mask tasks just 3 minutes to get going, providing instant moisture, leaving the hair soft and shiny. Natural red clay in the formula helps to remove impurities in the hair. Revive your hair from the straining effects of a hyperactive lifestyle, too much color or thermal styling with this mask. Babassu butter and yellow clay work on the hair’s structure making it look healthier and stronger. Rejuvenating and energizing, this violet color mask works to de-stress the hair and scalp, bringing tone and volume. The formula includes Rhodiola extract and violet clay, both rich in rebalancing and anti-toxic properties. Remove scalp impurities caused by atmospheric pollution, this mask is enriched with matcha tea that fights free radicals and 100% natural eco-certified bamboo charcoal with adsorbing properties, which gives the product its characteristic black color. A de-stress treatment for your hair and mind. The Let It Go Circle is powered by two versatile and curative ingredients: Brahmi oil energizes and re-hydrates, and sweet orange essential oil helps to relax the mind. Together these provide a boost of hydration to even the most stressed hair.